This unit was made for your preschool and kindergarten kids in mind. 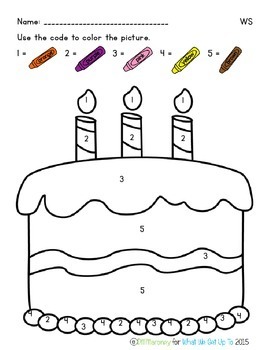 It covers number and word recognition for numbers 1-10. 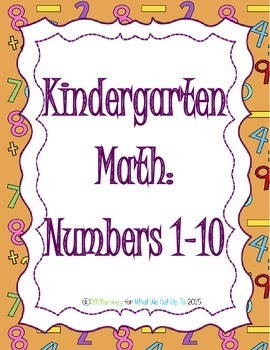 Your kids will also practice writing the numbers and words, one to one correspondence, and number order forwards and backwards 1-10. 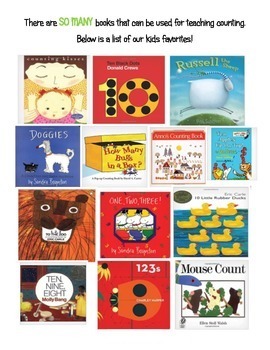 We have included a list of some of our favorite counting trade books. Some of the listed activities in this unit will need special equipment. All items are listed with the activity. We also have 2 Digit Anchor Charts sets for sale at our store. One has touch points and one does not.